Welcome to Part 3 of my exploration into the realms of Hollywood Hag Horror, featuring the former leading ladies who late in their careers, struggling to find roles for older women, found work in the horror and thriller genre. 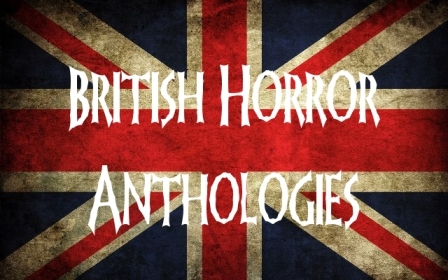 For more on Hag Horror see Part 1 and Part 2. 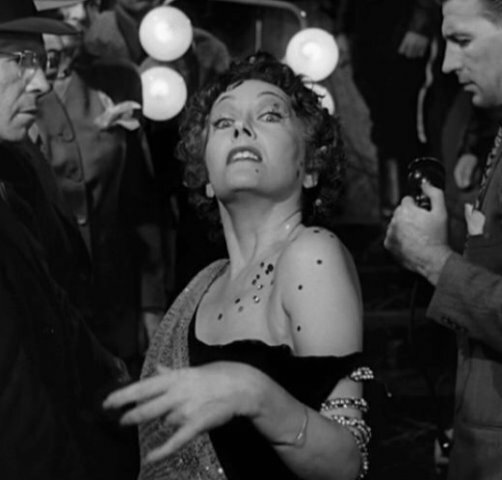 Whilst discussing the horror films of Bette Davis and her prominent role in the psycho-biddy sub-genre, I mentioned that an early incarnation of the character could be found in Billy Wilder's Sunset Boulevard (1950), in the character of Norma Desmond, played by the former silent movie star Gloria Swanson. In its setting, a decaying mansion, its character, a grotesque and delusional faded beauty, and in its violent outcome, Sunset Boulevard exhibits many of the hallmarks found in later hag horrors. The film would also serve to reinvigorate Swanson's career. However, unlike stars like Bette Davis, Joan Crawford and Shelley Winters, who became exemplars in this type of film, Swanson would only appear in a small number of horror and thrillers. In this episode of the suspense anthology series The Alfred Hitchcock Hour, the story begins with recently married Dave Snowden and his young wealthy bride Bonnie Daniels. Together they break into an abandoned old house that belonged to Bonnie's late father and find a mysterious locked door on the upper floor. They believe something valuable must be hidden inside. Swanson plays Mrs Daniels, Bonnie's mother, who tries to have the marriage annulled. After a tragedy Mrs Daniels has a change of heart and as this is Alfred Hitchcock you know the ending is not going to be a pleasant one. 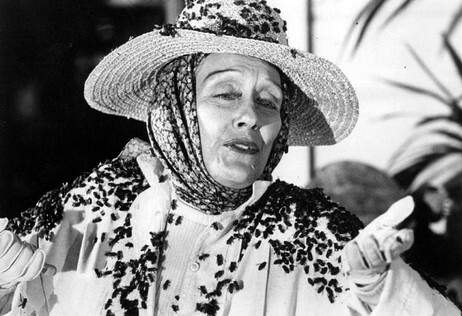 Killer Bees was directed by Curtis Harrington, the director of other psycho-biddy classics What's The Matter With Helen? and Whoever Slew Auntie Roo? In this TV movie Swanson plays the reclusive yet domineering Madame Maria von Bohlen, the matriarch of a family of California winegrowers. 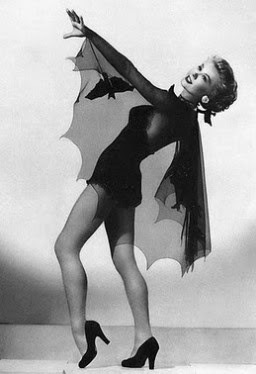 Apart from her odd persona Madame von Bohlen also has a strange affinity with the colony of bees she keeps on her vineyard. When her grandson and his girlfriend visit the family estate they come to suspect that his grandmother's bees are responsible for a number of local deaths. Although Swanson plays a supporting role it is nevertheless an entertaining one, matching Norma Desmond in its sinister, over-the-top Gothic grandeur. Gloria Grahame is an Academy Award winning actress who achieved fame as the femme fatale in film noirs such as In A Lonely Place (1949), Sudden Fear (1952), Human Desire (1953) and The Big Heat (1953). 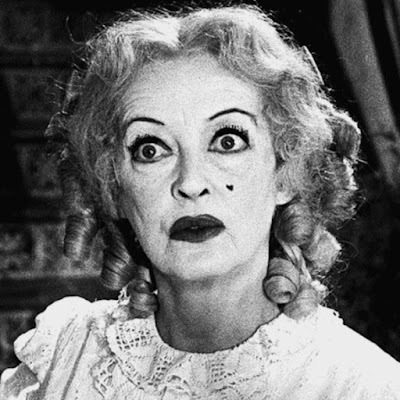 Perhaps it is not surprising that her later roles would be in horror, as the the dangerous old woman archetype arguably is an extension of the dangerous young woman archetype. Blood and Lace is frequently seen as a precursor the slasher films of the late seventies and early eighties. 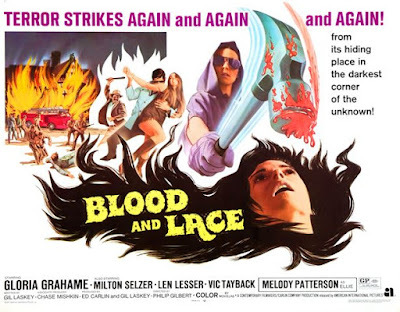 Surprisingly, despite its explicit content and disturbing subject matter it was originally rated a PG, leading the Psychotronic Encyclopedia to call it "one of the sickest PG films ever." After her mother's brutal murder, teenager Ellie Masters is sent to an orphanage run the enigmatic Mrs Deere. 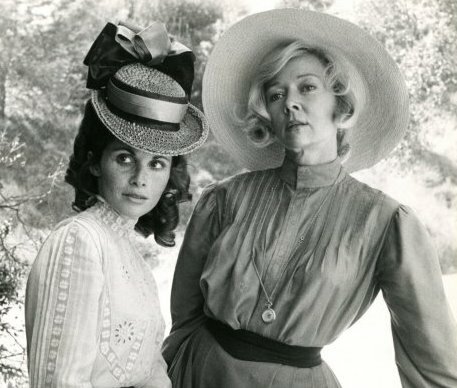 However, Ellie discovers that Mrs Deere (Gloria Grahame) is nothing but a ruthless, violent sadist, only interested in the money she collects for each orphan. To make matters worse it appears Ellie is also being stalked by her mother's killer. Black Noon was an ABC Movie of the Week co-starring Ray Milland, Roy Thinnes and Lynn Loring. The movie is an interesting combination of horror western and folk horror. A traveling minister and his wife arrive in a small town and discover a strange force is bringing misfortune to some of the town's inhabitants. Soon the minister's wife is struck down by a mysterious illness, she hears voices at night and sees people wearing animal masks. All events lead up to the discovery of the town's terrible secret. Ray Milland is great as town leader Caleb Hobbs with Gloria Grahame playing a supporting role as local townswoman Bethia. 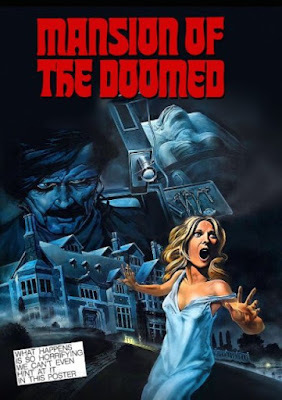 Mansion of the Doomed rather shamelessly steals it plot from the famous French horror Les Yeux sans Visage (Eyes Without A Face), with a few minor alterations. A guilt-ridden father kidnaps people and performs eye transplants on them in the hopes of curing his blind daughter. In this more macabre and gory version instead of killing his victims he imprisons them in his basement, leaving them to walk around with empty eye sockets, all shown in graphic detail. This is not a film for the easily squeamish. Richard Basehart plays the mad surgeon Dr Chaney and Gloria Grahame plays his sympathetic and devoted assistant. The story follows Gothic novelist Lauren Cochran who moves into a Victorian mansion in the country, owned by the sickly, wheelchair-bound Colonel LeBrun (John Carradine). Soon after arriving Lauren has a number of strange experiences and begins to see terrifying visions of the house's former occupants. She learns that the house was a former brothel, run by the indomitable madam Florinda Costello, played by Gloria Grahame in her very last film role. 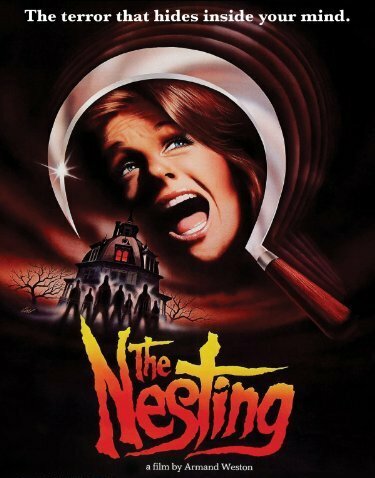 Directed by Armand Weston, better known for his X-rated films, The Nesting is a combination of haunted house mystery, atmospheric ghost story and gruesome slasher. An attribute of the psycho-biddy film is the mental instability of its protagonist. 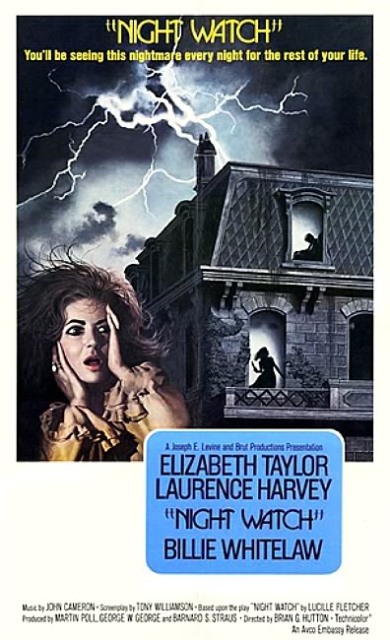 The role of mentally unstable or mentally disturbed woman was a familiar one to Elizabeth Taylor, with her performances in films like Suddenly, Last Summer (1959) and Who's Afraid of Virginia Woolf? (1966). Night Watch however, would be Taylor's only horror film. Taylor plays Ellen Wheeler, a wealthy woman recovering from a nervous breakdown. One day whilst gazing out of the window she see's a murder take place in the house next door, however no one will believe her story. Did she see a murder or is someone trying to drive her insane? Night Watch is a good mystery thriller of the Gaslight variety, with a nice twist at the end.